This memoir captures Art Reed’s adventures from the streets of Chicago and battlefields of Vietnam, to halls of The Pentagon and the plains of Oklahoma. The book is not about war or classified military operations. 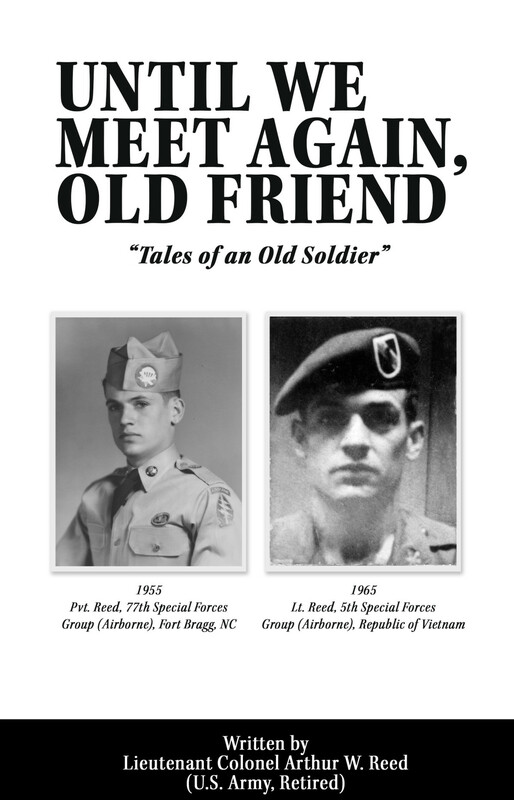 It is about the life of a soldier and his personal experiences during military service — service to his country that spanned almost three decades. In some cases, the passing of time has dulled the memory and caused the actual dates or sequences of some of the stories to become a bit fuzzy after more than half a century-but the stories are all true! Enjoy the travels and real-life tales as the “Old Soldier” is now more than seventy-five years old and, like the knights and soldiers of old, he salutes the reader to let you know that he too is your friend-and he hopes you will enjoy this journey back in time with him!